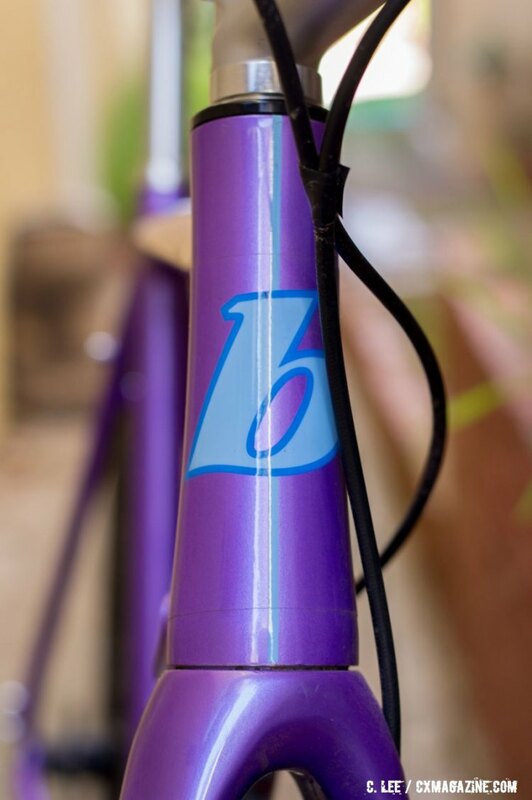 Brodie Bikes is celebrating its 30th year in 2016, coming a long way since its founder Paul Brodie built his first steel hardtail mountain bike for Rocky Mountain Bikes in Vancouver, British Columbia. Brodie is in fact a member of the Mountain Bike Hall of Fame for his role in the development of the mountain bike. 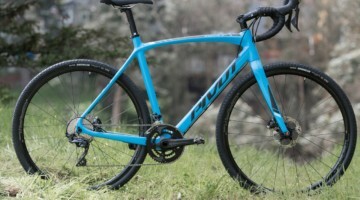 We reviewed the Brodie Romax a year ago and found it to be a good value, versatile cyclocross bike that transmitted some surface buzz to the rider. 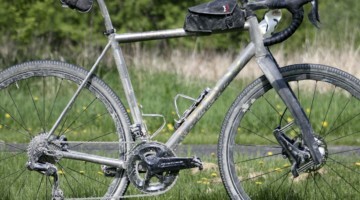 It was at home on the race course, and good as a commuter, but a long, rough adventure ride was not its strong suit. 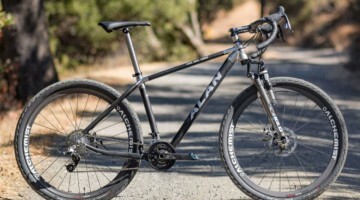 For the new 2016 Romax, new tubing was selected, an Ultralight 7065 aluminum alloy and a tapered headtube was included opening up disc fork options the last Romax model did not have. Our test Romax is paired with a TRP 12mm thru axle fork and to match, the rear end is now 142x12mm thru-axle also. Brake and derailleur lines are now routed internally through the downtube, with the rear brake line exiting on the left bottom of the downtube to run externally atop the left chainstay to the chainstay mounted caliper. 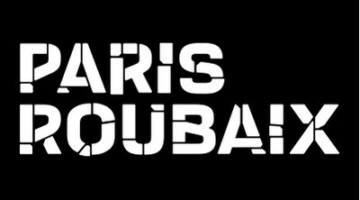 If you elect to run gears, a mechanical rear derailleur will have the cable run externally along the bottom of the right chainstay from its exit at the right bottom of the down tube. Electronic shift wires will continue an internal run through the chainstay to exit at a small port atop the right stay. 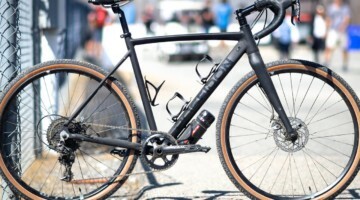 A PressFit 30 bottom bracket is used instead of the threaded bottom bracket of the last model, allowing the flexibility to use an eccentric for single speed conversion of the Romax. The PF30 bottom bracket shell’s ability to use an eccentric bottom bracket is showcased in our singlespeed test bike. The Brodie Romax geometry did not change much keeping an effective 56.5cm top tube on the 56cm size bike. 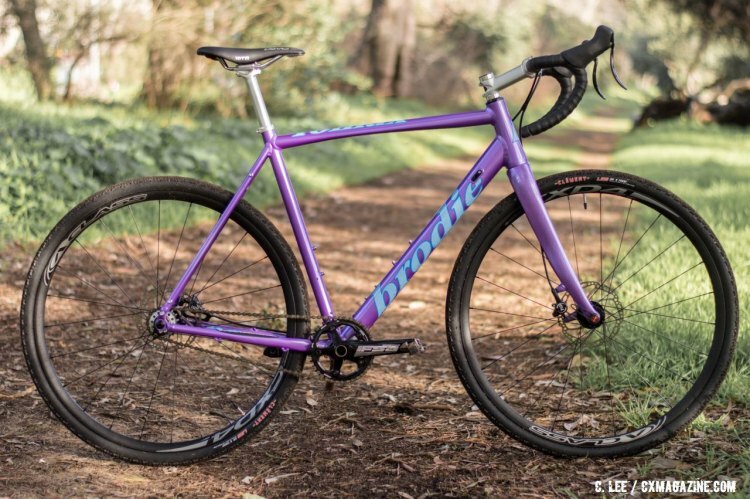 A 7.0cm bottom bracket drop with 42.5cm chainstays and a 603mm front center yields a 102.6mm wheelbase. Waterbottle bosses are present for twin bottles, as are fender and rack mounts. 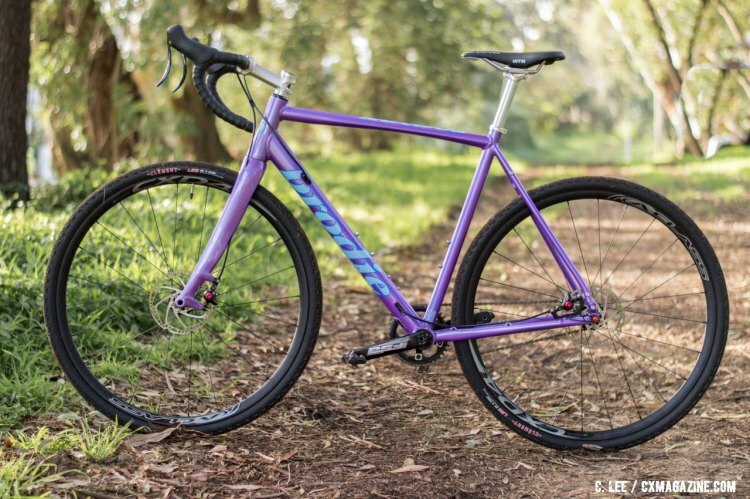 The TRP fork, however, does not come with either fender or rack mounts, though with a tapered headtube, aftermarket fork options abound. As a single speed, the build is decidedly simple with only a crank, wheels and brakes. 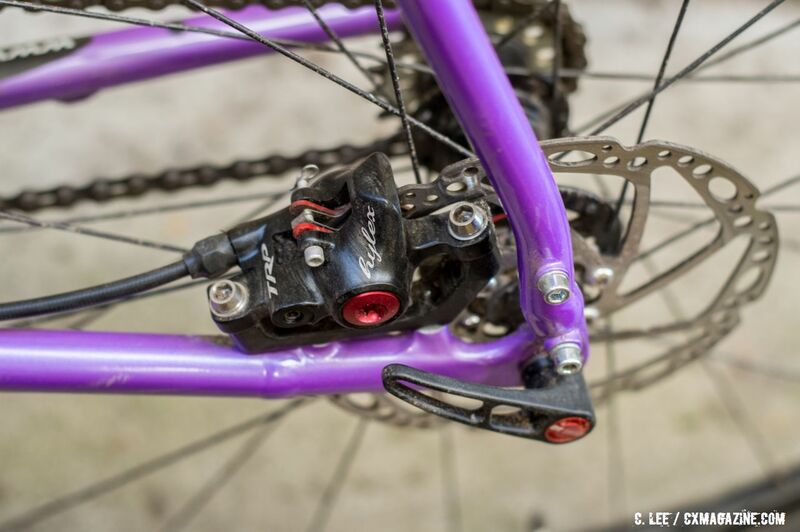 The choice of TRP Hylex for brakes is excellent with great lever feel, power and modulation. They are unique as a drop-bar hydraulic option for single-speeders and those who want system-independent shifting. If you do decide to add gears, the modification to Shimano Di2 is easy with the Hylex since a kit is available to add Di2 sprint shift buttons to the levers. The Hylex levers have the master cylinder mounted horizontally giving the lever a long profile. Though the reach is increased, the lever is positioned feel normal from the drops. The FSA Gossamer crank has a 38t Megatooth wide/narrow profile chainring, is not completely necessary with a dedicated single speed setup since a properly tensioned and aligned chain will not derail as it will when shifting on a geared bike, but it’s a nice touch and makes for easier conversion to a single ring geared bike, just add a cassette, rear derailleur (preferably with a clutch mechanism) and a shifter. 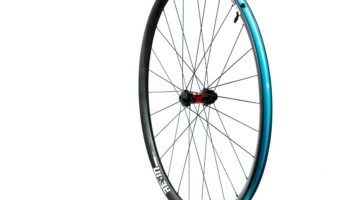 The Alex A-Class CXD4 wheels are tubeless ready with a 24mm wide (19mm internal width) rim and come shod with non-tubeless Clement LAS 33mm clinchers. 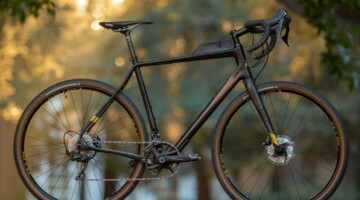 The bar and stem, and nice two-bolt seatpost are Brodie branded aluminum models, the latter topped with a WTB Devo saddle. 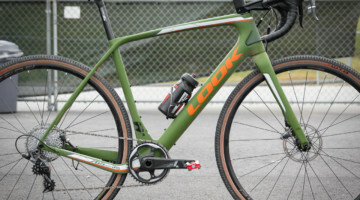 The 57 inch gear is a just a tad lower than I might choose to race most cyclocross courses, but I certainly enjoyed the easy acceleration and climbing even as I was spun out on flat stretches of road and trail during the offseason. Our comment about the feeling the buzz of the surface with the last Romax reviewed is less noticeable with this version and fork. Stay tuned for a full review as we take the new Romax through the paces.